You can never please anybody and neither should you want to. There is never going to be any film awards that will please us all. Remember how last year there were already a few dissonant voices for Blue Is The Warmest Colour? Remember back in 1994 when Pulp Fiction won, some woman in the audience was so outraged she shouted at Quentin Tarantino as he was on his way to accept his prize. And this year was no exception. It is indeed an impossible task for the jury. They pick a favourite? They are accused of being safe. They pick a wild card? They are accused of getting it all wrong. I must admit I am mostly happy with the result but I have a few comments on them too. This year I watched the results along with the rest of the accredited press in Theatre Debussy, a screening room in the Palais opposite the main screen where the closing ceremony was taking place, as it was being broadcasted live on our screen. There was a great atmosphere, with cheering and booing, and it still felt like being part of it all, as opposed to just watching on TV. It also brought its share of surprise and tension, mainly since the live feed kept failing, with the screen turning black and coming back on again, so until the end we never knew how much or how little of it we would see. There was almost a riot among journalists. So the acting prizes first of all. I really should have remembered Timothy Spall, as even though I missed Turner, he was the hot favourite. He started the ceremony with a bang, giving the funniest, most random and heartfelt acceptance speech ever, with that typically British touch of humour and self-depreciation. As for Julianne Moore, well she might be one of my favourite actresses, and one who is long overdue an Oscar, but this still took me by surprise. I am still trying to decide if I liked Maps To The Stars, I feel a lot of it is painfully obvious in its depiction of Hollywood, and sadly that includes Julianne Moore's character, even though she does make the most of it. A bolder choice would have been to reward her co-star in the film, Mia Wasikowska, in a tricky and unlikeable part in which she truly shines yet again. When the joint jury prizes were announced, there was a mixture of bewilderment, hilarity and disappointment to be felt in the audience. It meant that Mommy was not going to win the Palme d'Or, as predicted by many. But I quite like the combination of Godard and Dolan sharing a prize, it has a certain panache. I am glad the fantastic Leviathan won a prize but a one for its script feels odd, surely its powerful direction would have been a better fit? I cannot really comment on Foxcatcher winning best director since I missed it, but given how Oscar baitv it feels, I would have preferred a reward for a more experimental direction which pushes boundaries. Naomi Kawase perhaps? Same for the Grand Prix for Les Merveilles, I missed it, but I have a chance to see it tomorrow morning early in one of the catch-up screenings so Cannes might not be totally over for me, watch this space! The three way translation between the director Alice Rohrwacher, Sofia Lauren and the translation made me chuckle when the director, unhappy with the French translation she was hearing, decided to take over and it became a three way speech between the three women on stage! At least it proves that Thierry Frémaux's gamble to include a relative newcomer in the competition paid off. As for the Palme d'Or, I almost have some mixed feelings about it. I love Winter Sleep, it is in my top 5 of films in Cannes. But cannot help thinking that a Palme d'Or for Mommy would have been more memorable, an electrifying film in which the young director has truly outdone himself, giving to the Croisette one of those much talked about films/events that make the history of the festival. Winter Sleep is the choice of the mind, but Mommy would have been the choice of the heart. Interestingly, at the jury conference, Jane Campion was gushing over Xavier Dolan, calling him a genius. As the president of the jury, her vote counted double, but that still does not mean she would have been able to impose him if this choice was not unanimous. 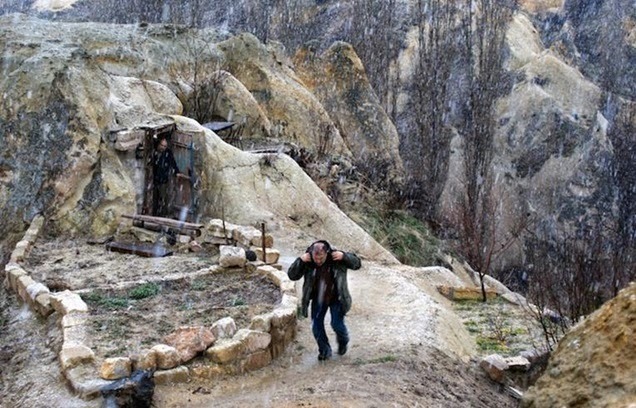 Despite its top prize, Winter Sleep might be a tough one to market but I really it means a wider audience for the Turkish director. So here is a recap of the results, and then I have ranked all the films I have seen in Cannes from best to worst underneath.